126, 121 and 161, 17 June 1999. 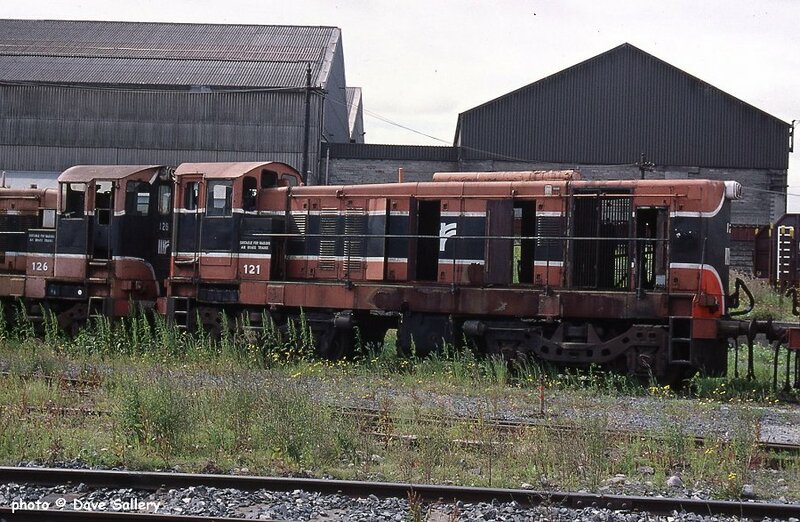 121 and 126, 17 June 1999. 125 is still in one piece, 17 June 1999. 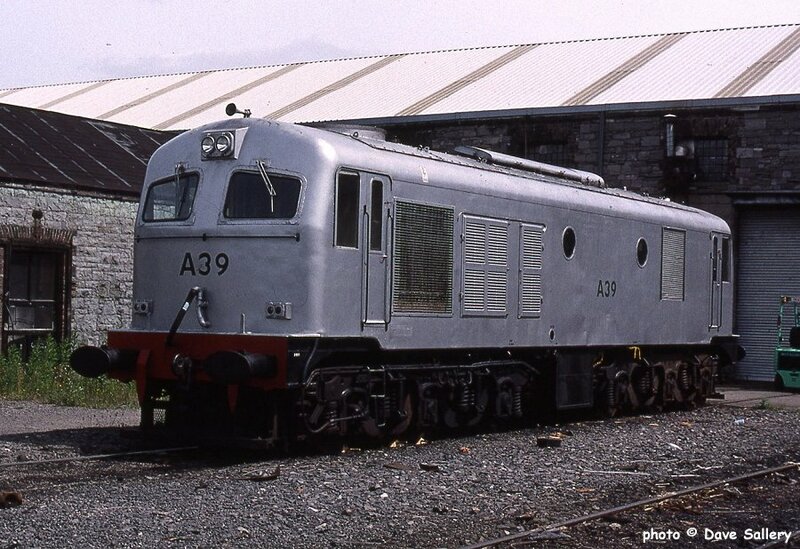 Preserved A39 in original silver livery, 17 June 1999. 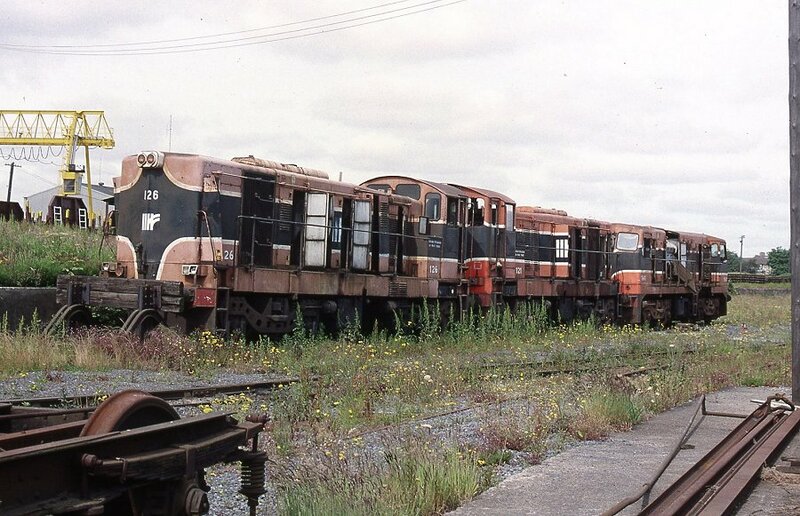 This loco is normally based on the Downpatrick & County Down Railway. 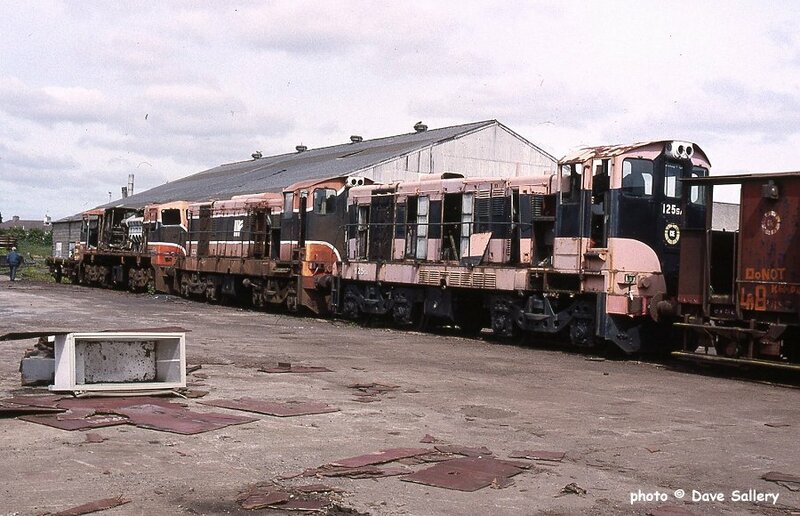 14 of these shunters were built between 1962/63, the last was withdrawn in 1983. 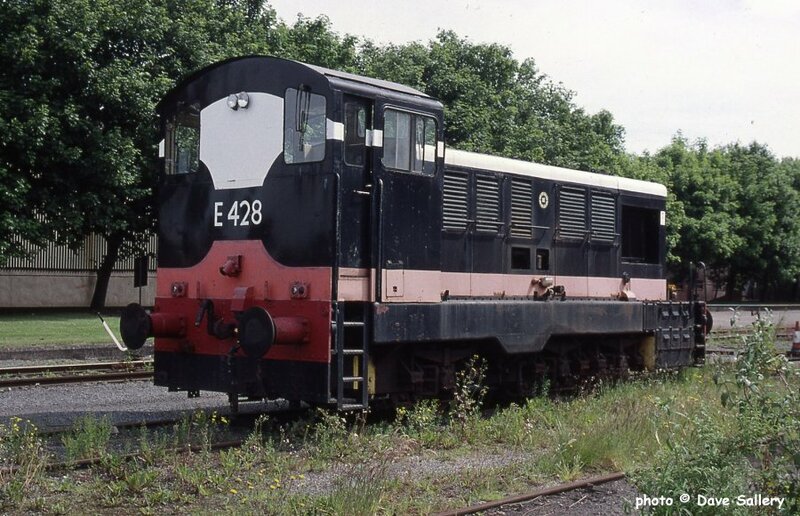 This preserved one is now at Dunsandle, Co. Galway 17 June 1999. This loco was one of the original 201 class, 34 of which were built by Metrovick in 1956/57. 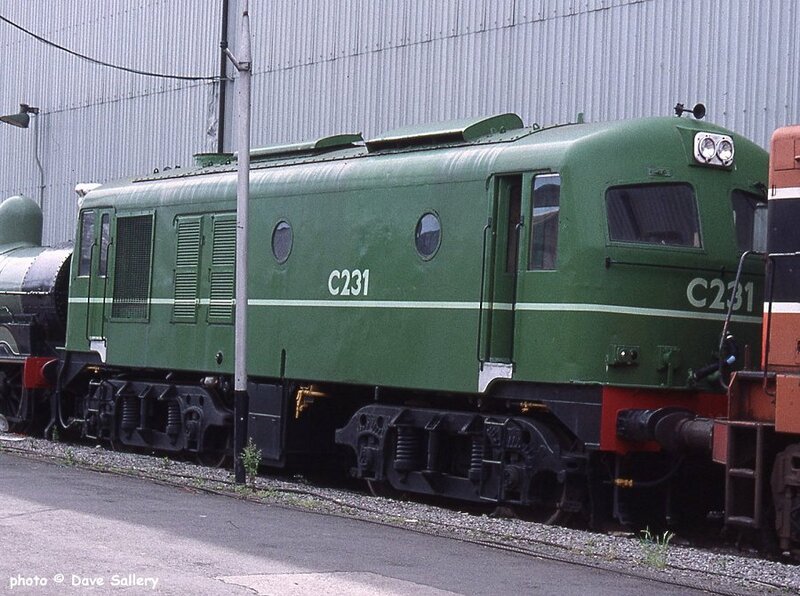 C231 is owned by the Irish Traction group. 17 June 1999. 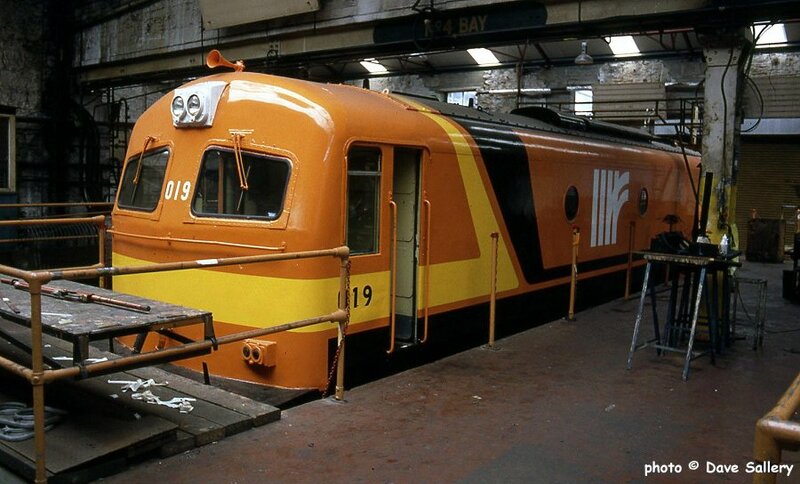 Withdrawn 019 had been used for new livery experiments, 6 July 1994.